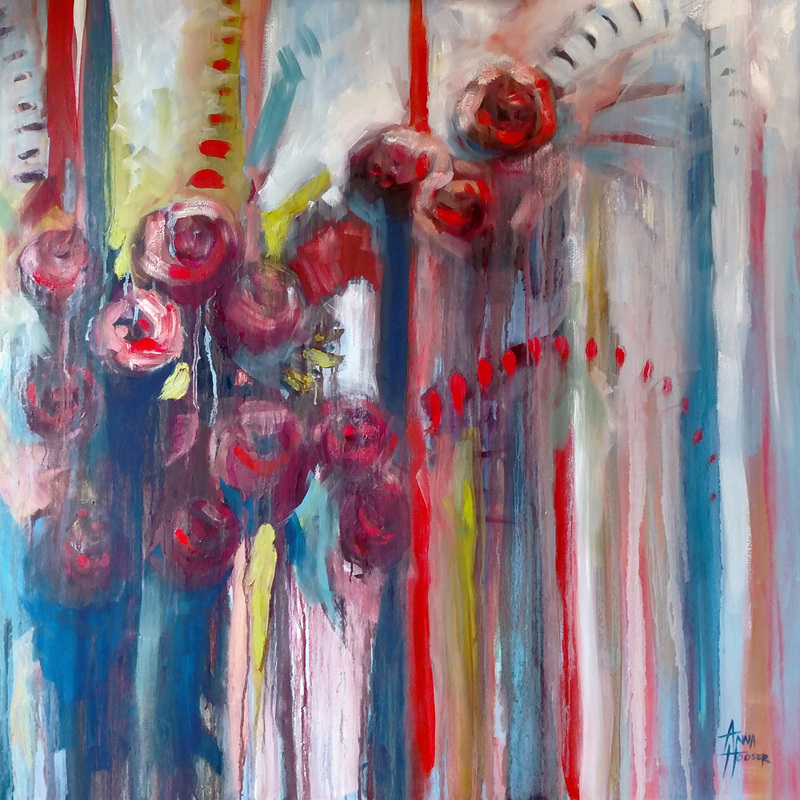 A new exhibit featuring paintings by Anna Hooser will be on display through the end of March at Threshold Gallery. Please join us for a reception with the artist tonight, Thursday, February 7th, from 5:00 pm – 7:00 pm. Anna Hooser is a Seattle-based artist, wrestling to create beautiful images that relate to the pain and truths of real life. Working mainly in oils of vibrant and bold colors, she uses paint thinner and water to create signature ‘drips’ that appear throughout this exhibition. Anna attended Western Washington University and graduated with a BA in Studio Art.